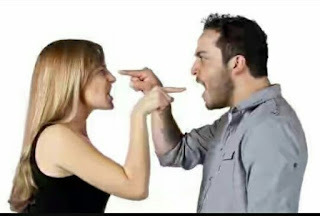 Things you should never ever say to your partner – Every couple have arguments and misunderstandings. They often bring people closer, eventually. But if handled wrongly, they could put an end to a relationship. It is important to fight fair and communicate your feelings effectively instead of just lashing out. 1. “You Always” or “You Never”: You might feel the urge to say something like,“you never respect me” or “You always choose your friends over me,” during a fight when trying to make your point. But this will only end up making your partner aggressive and you will be unable to get the reaction you were hoping for. Instead of words like these, how about saying “I know you are trying your best but I wish you would show me more respect.” This way, you are acknowledging their effort while telling them what you need. This is more likely to get a positive response. 2. “I do not want to talk about this anymore”: Walking out on a fight or just abruptly shutting your partner down while in the middle of an argument or discussion will only serve to hurt them more. If you must postpone the conversation, do it in such a way that you both come to the agreement to discuss some other time. 3. “Can’t you be more like..”: No one likes to be compared to other people. It does not matter if you are trying to make a point. Saying things like “Why can’t you be more like my friend’s wife/husband..” will not go down well with your partner. If there is a character trait you need him/her to work on, just express that instead of using someone else as an example. Nobody is perfect. You chose your partner for who they are, so it is hurtful when it sounds like you are wishing they were someone else. 4. “It’s over”: No matter how hurt or angry you are, you never end a relationship in the middle of an argument because chances are, you do not really mean this. Throwing words like “divorce” or “break up” like it is nothing is certainly not the way to go. Ending a relationship takes careful consideration and discussion. And if you are used to throwing those words around when you do not mean them, you will be left shell-shocked if, one day, you partner takes you at your word and walks out. 5. “Whatever…”: Saying this when someone is trying to communicate with you is not only rude, but hurtful. Disregarding their feelings and opinion because you do not feel like having this discussion will only cause your partner to get closed off. You need to always keep the lines of communication open, even when you do not really feel like it, because your relationship is unlikely to last long if you both do not express your feelings. 6. “I’m sorry, but…”: If you are going to apologize about something, do it wholeheartedly and completely. Do not cancel it out by attaching conditions to it, like saying “I apologize but you really should not speak to me that way”. This will only extend the argument. After apologizing, gently let your partner know if they have done something to make you feel bad. This way, they also get the chance to completely apologize and everything is right with your relationship again.